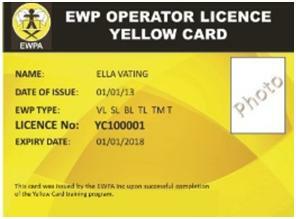 Boom lifts over 11 metres require a SafeWork licence (WP). 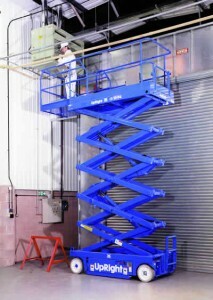 Boom lifts under 11 metres, scissor lifts and vertical lifts require “duty of care” training such as a Yellow Card. It provides evidence employers have met their legal responsibilities when a high risk work licence is not required. This nationally recognised training is issued by the Elevated Work Platform Association of Australia (EWPAA) and delivered by accredited trainers. Training takes 3 – 6 hours depending on numbers and operator experience. Or for more information call 0410 019 149.